Studies have shown that the life expectancy of low-slope steel standing seam metal roofing can be as long as 60 years. The service lif of most commercial buildings is also about 60 years, with one of the key factors in a property’s design success, increasing energy efficiency while also reducing operating and maintenance expenses. One of the biggest benefits of metal roofing and wall panels is how they impact building performance in a positive way by their longevity, durability and sustainability. these benefits far exceed the performance of traditional shingle roof systems. Metal roofing does not always require replacement. Both property owners and the environment benefit from this by lowering for replacing roof systems. Metal is well known as a solid, resilient material and stands up well in extreme weather conditions, in addition to a long service life. Metal roofing and wall panels also strong fire and wind resistance, preventing air and water leaks. This has been supported by third party testing. They can withstand wind gusts of up to 140 miles per hour, making a building durable and weathertight. Metal roofing panels can be made up as much as 25-35% by recyclable materials and are pretty much 100% recyclable themselves at the end of their life cycle, providing energy efficiency during and after their use. Metal roofing can be coated with reflective Cool Roof finishes, which reflects much of the sun’s infrared radiation, keeping the roof surface temperature lower than traditional or uncoated materials and adding more energy savings in the form of heating and cooling expenses. They are strong hosts for other energy efficient, or energy producing materials. They can be used with just about any type of insulating system and strong enough to support very thick insulation, which maximizes a property’s energy performance. also, metal roofs work well as surfaces for installing solar systems. They can be installed on a metal roof pretty much penetration free, giving the property high performance with a minimal amount of risk. Because of these benefits, metal roofing is a great choice for industrial, commercial, residential and agricultural applications. Your commercial building’s first line of defense from hazards like extreme heat, rain, wind, hail and fire is its roof. Your roof is also one of the most vulnerable parts of your building. This weather and other elements expose your roof every day to factors that will cause it to deteriorate over time, which risks damage to the roof and everything it covers. Having a roof that protects your building begins with its design, the materials selected and proper installation when built. This doesn’t happen very often and could be outside the expertise managements usual activities. You need a continuous program of inspecting, maintaining and repairing – should be a routine part of your operations to extend the lifespan of your roof to ensure your roof is able to protect your business from weather issues. This is how you find and address routine trouble spots so you can head off issues before they begin and correct them before they become bigger problems. If you haven’t had your roof inspected recently, you’ll want to identify and rectify any major issues as you first step. You can sometimes see the beginnings of serious problems from inside your property. you may see water stains above on a ceiling, which could be the result of a hole or crack on the roof. You have to realize, however, that a small leak can be a clue to bigger and more costly issues. Also, if your property has mold or odors inside that can’t be explained it could mean a roof leak has caused moisture penetration. While water damage or mold might be a sign of issues above, you need to visually inspect the roof to see if their are problems that could become worse in the future. An inspection can be done by the property owner, depending on the slope and accessibility, but it makes sense to hire a professional commercial roofing contractor to ensure the job is done right and safely. If you hire a professional for the inspection, these tips may help you understand what they discover as identifiable issues that need action. Standing or ponding water for a prolonged period of time could lead premature aging and deterioration of your roof’s cover, leading to leaking. Steel and metal roof decks can slowly rust from undetected water leaks, wood decks could rot and lightweight insulating concrete or gypsum decks deteriorate into thick paste-like substances. Also, pooling or standing water can add a lot of weight, weakening your roof’s deck. If you see bubbles, it could show there’s trapped moisture inside the roof cover, which could mean leaks are coming, which will accelerate the early demise of the deck, which could make the roof cover systems ability to withstand uplift forces from sever wind storms. Bubbles can also be caused by a release of gas from insulation board that could be trapped under the cover. To diagnose this issue, you can have a professional perform a roof cut or moisture survey. The strips of metal or other impervious material thats installed around the edges of the roof, where the cover meets the wall is called roof flashing. 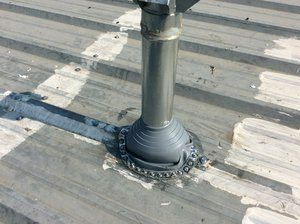 It will also be installed around other things on the roof like vents and HVAC apparatus that come up through the roof to deflect moisture away from seams and joints. But, a gap in flashing or roof cover material could increase the risk of roof cover failure if there’s a high wind storm along with water infiltration and mold. Water can get through and enter below the cover due to tears in the the roof cover. If you have a lightning protection system, make sure it isn’t loose or detached, because it could cause a tear or puncture in your roof’s covering during a wind storm. Also, if the lightning protection system’s cables or aerials have become disconnected, it would make the system incapable of protecting people inside, as its intended. You should check to make sure skylights are secure, if you have them. If the skylights are not sealed and secured well, they can leak, which could cause them to become dislodged and let wind driven rain and debris enter the property, especially in a high wind storm. Over time, the plastic domed panels of the skylights can get brittle and crack, also allowing moisture to leak through. 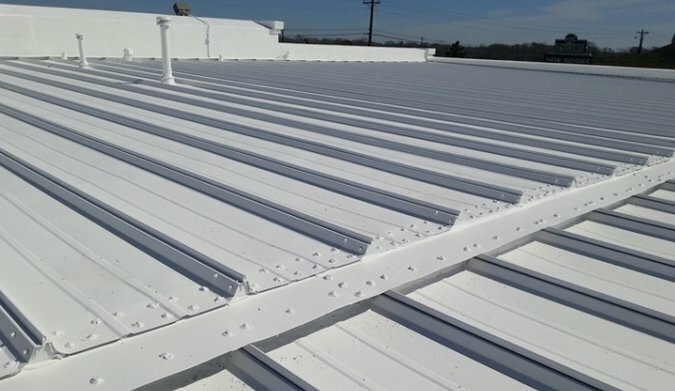 At Armadillo Roofing & Exteriors, we provide commercial metal roof repair, commercial metal roof restoration and commercial metal roof installation services to Austin, Texas and the surrounding area cities. 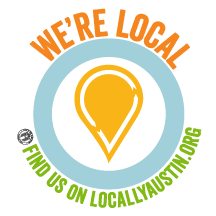 If you need a commercial roofing contractor you can trust to inspect your metal roof, give us a call at 512-333-ROOF (7663).